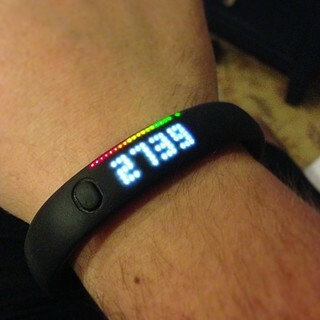 Since the end of July, I’ve been rocking the Nike+ Fuelband on my right wrist. It’s been fascinating to see how some days I’m more active and some days I’m not. It’s easy to be neurotic about constantly checking to see what my score is. While its easy to check what my score is, what it doesn’t tell me is what my score should be. You know how many fuel points you need to hit by the end of the day but you have no idea if you will. After a few weeks, the Nike+ Fuelband knows what my regular rhythms are including the days where I’ll hit my goal. It should know that I’m not on track or not hitting the typical pattern of a goal breaking day and alert me accordingly. It’s not enough to tell me that I’m not going to meet my goal as I’m about to go to bed. I want to be told that I’m not going to meet my goal when I still have a chance to meet it. I’m excited. Today, Nike announced that they’re working with TechStars to create a Nike+ Accelerator program in Portland, Oregon. The goal is to build whole new companies around innovating on top of the Nike+ platform. I’m hoping that these startups will help to add an extra layer of complexity to the Nike+ ecosystem.